A bit of a different post today about toothpaste, this is a beauty filled blog and we all want beautiful teeth right?! Since I have quit smoking (3 months and counting) I have become a crazy tea lady drinking tons of the stuff so I chose the 'Tea & Coffee Drinker White Glo'. A 100ml tube of toothpaste, a toothbrush and some little dental flosser toothpicks, so I think £4.07 is a reasonable price! I am going to do an update in a few weeks about how i'm getting on with it, but after using my sample from Carmine my teeth felt a lot cleaner and stains were starting to fade so I have high hopes for this product. What toothpaste do you use? Cheap and cheerful or expensive stuff? 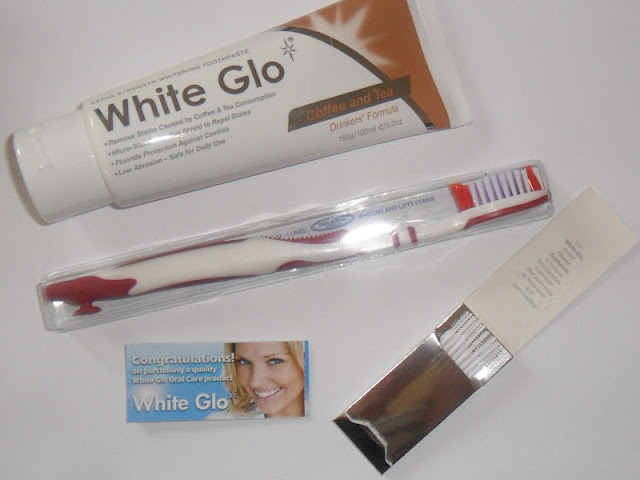 im always looking for reasonable teeth whiteners! this looks great! congrats on quitting 3 months ago!! woo hoo!! I got it in Carmine and used it for a week and noticed a great difference but thought it would be mega expensive! I thought it would be super expensive to hun, but I think it's very cheap considering what you get! I'm definitely going to buy a big tube, you get a lot for the price! My teeth are a little on the yellow side from lots of tea and the odd cigarette and I did notice a bit of a difference after the Carmine sample! It is quite a big tube, I reckon it will last a good while! 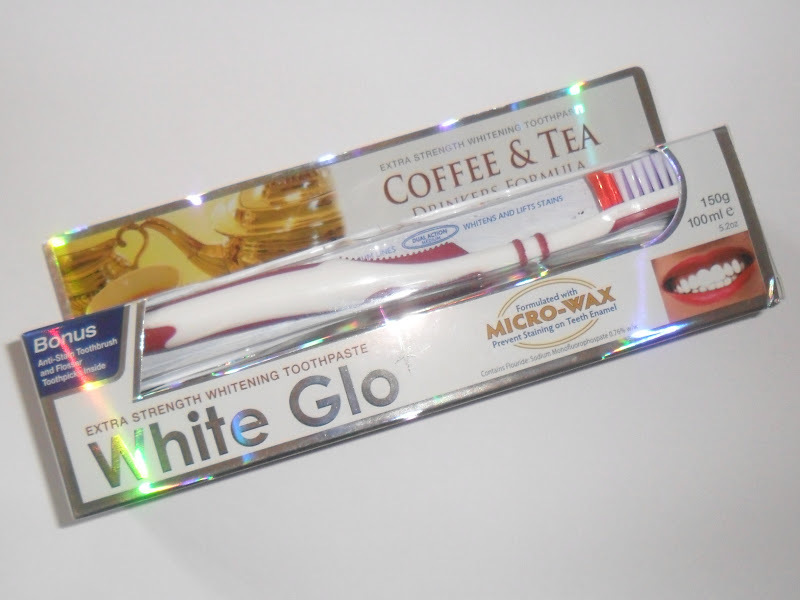 Can't wait for sparkly white teeth! I drink around 10 cups of tea a day hahaha!! So fingers crossed this will work well.